One of the fun things you can add in your home is a personalized bar. It is fun to have the wines and other types of adult beverages that you and your guest enjoy be there so you can relax and enjoy a nice glass when you get home from work or entertaining! 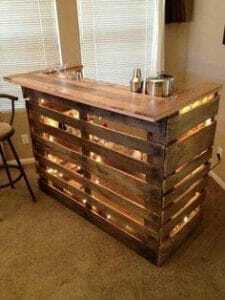 Now that you’re married, you probably want to create a bar in your first home as husband and wife. A Village Gift Shop in Glendale can help with fun accessories for your bar like these candles by Vela De Vino. 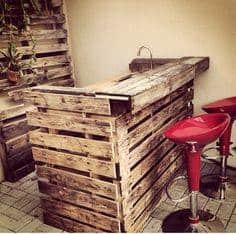 If you have an extra room in the house or will be opting to build your bar in the basement, you can always opt for wood pallets to design and build a custom bar. Depending on your level of expertise, you may easily be able to construct this yourself or you may want to reach out to a construction-minded friend (hey there, YouTube!). Give your bar a brighter look by adding some indoor lights. They sell these all over the place and you can easily find them any time of the year. This will allow you to turn the lights down a little dimmer to help set the mood! If you’re a big fan of the pallet wood look, construct a wine and alcohol holder out of a few pallets! 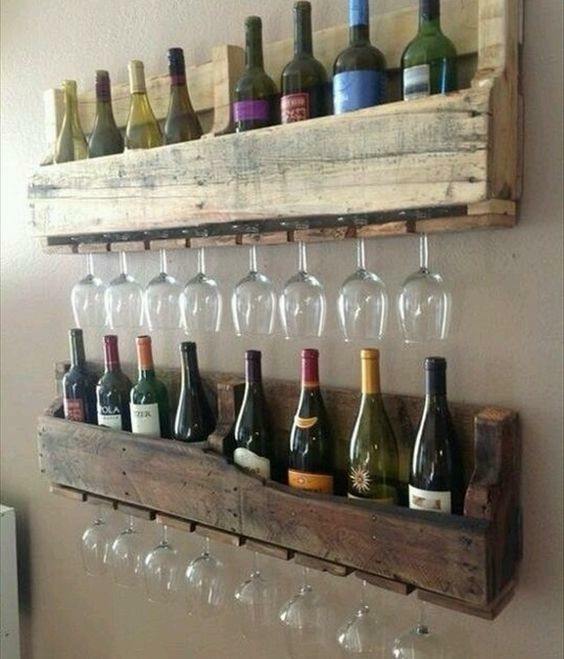 You can store the bottles in the pallets and even install hooks to hang your wine glasses! 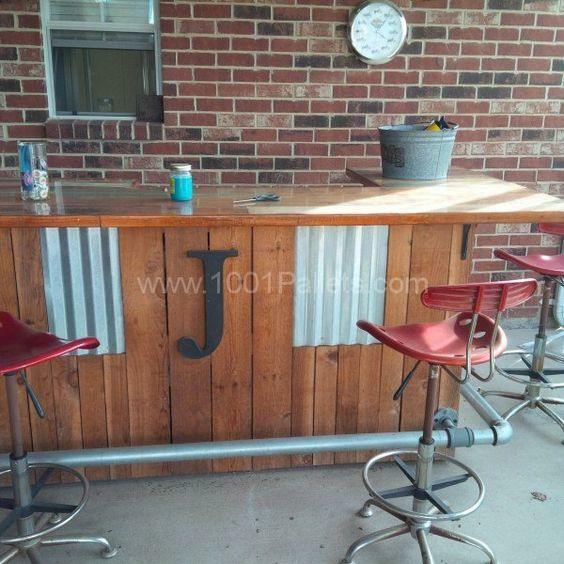 Spruce up your custom bar with the initials of your last name and add some color to it as well! Plus, don’t forget A Village Gift Shop in Glendale has all the fun accessories that you might need to dress your bar!